The Atlanta Public School System has just been caught in a major cheating scandal which has taken place over the last 10 years. Administrators and teachers actually erased and corrected student answers while the Superintendent’s office ignored and destroyed the evidence of these horrible acts. The improving test scores have brought a lot of positive attention to Atlanta over the last few years where teacher’s were being pressured to take part in this unethical behavior. “At Gideons Elementary, teachers sneaked tests off campus and held a weekend “changing party” at a teacher’s home in Douglas County to fix answers. “Cheating was “an open secret” at the school, the report said. The testing coordinator handed out answer-key transparencies to place over answer sheets so the job would go faster. This article not only disgusts me but it makes me so sad for the children and parents of Atlanta. They have been living a lie for the past ten years and many of the students have not been getting the services that they desperately needed. I can’t imagine being a teacher in that environment and being forced to either cheat or shut up….how awful! 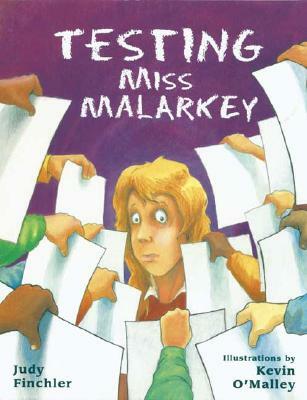 If this is what testing does to our society, why are we doing it?? I remember when I was administering the 3rd grade test in my school in Massachusetts, one of the teachers would look the books over and tell her students to go back and check numbers 3, 5 and 7 (etc) for the right answer. She was so worried about her students doing poorly on this test that she wanted to make sure she gave them the best chance to do well and make her look good. The fact is that these tests only show how these children perform in math and reading (mostly reading because you have to be able to read in order to take the math, science etc. tests) on one given day of their lives. It does not take into account their emotional lives and everything they have learned and can do. It is not an accurate reflection of how schools are performing. When I was teaching we had to give a writing prompt to all of our 4th grade students. The prompt was, “Write about your best snow day!” This had been a snow free year in Massachusetts and we had no snow the two years prior either. All of the children from the Dominican and Puerto Rico who were forced to take this test, despite the fact they had very little English, had no prior knowledge of snow! How were they to answer this question, let alone write an essay about it? There has to be a better way to judge schools effectiveness. Testing pressure drives not only students to cheat but also teachers and administrators. There has to be a better way to assess learning….there must be!